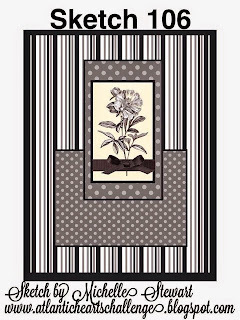 There are a couple things I like about this card, it was made with scraps that were sitting out on my table and it can be used for a variety of occasions, birthday, thinking of you or even a sympathy card. 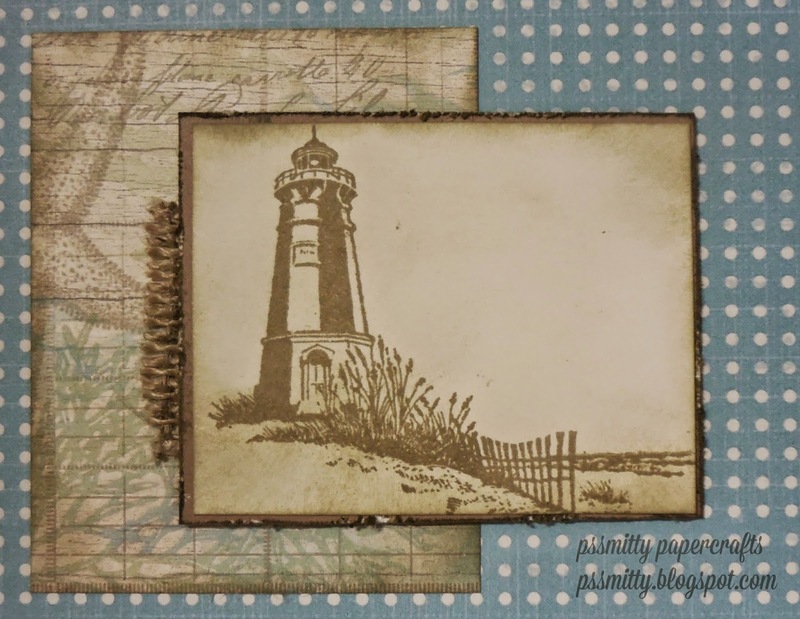 There is a lot of "white space" after stamping the image of the lighthouse, but adding some sponging quickly fills it in. You could get real fancy with color if you wanted to and do a couple shades of blue sponging in the background for the sea and the sky. 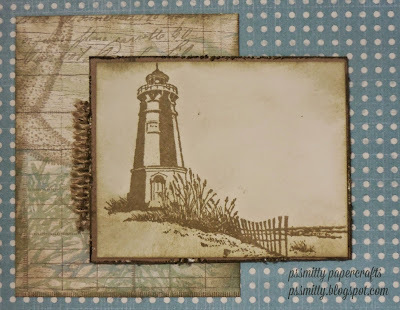 Be sure you visit the Atlantic Hearts Sketch Challenge blog to see all of the great creations this week. Here's the sketch, hope you're inspired to create something and join the challenge! I really love the calmness that your colors invoke...just like a day on a deserted beach. Gorgeous card- that sponging really makes it special! Thanks for joining us at AHSC. Great card. I love the colors and the peacefulness of it . Thanks for joining us this week at AHSC. I know Jasmine said it but I agree, there is something peaceful about the lighthouses in the brown, it is very tranquil and I love it! Thanks for playing along with Atlantic Hearts Sketch Challenge (AHSC)! 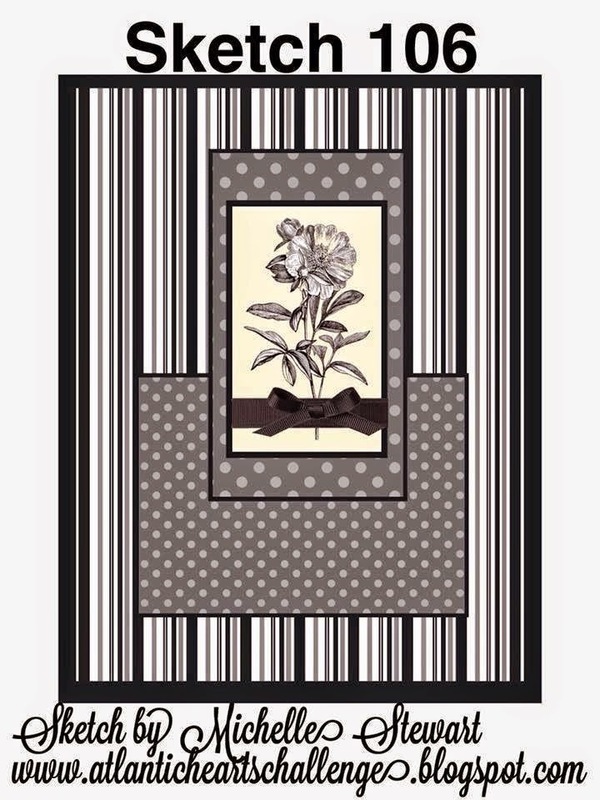 I love the peek of burlap and the masculine nature of this card! It is lovely! Thanks for playing along with Atlantic Hearts Sketch Challenge (AHSC)!